One of the many cool benefits of running a blog is meeting awesome creative companies through kraft&mint’s social channels. During the holidays I met a start-up called “totallee“ that makes beautiful, minimal iPhone cases with a stylish design that won’t break the bank. Totallee generously sent to my home two iPhone cases. “The Spy” a transparent case almost invisible letting my gold rose iPhone shine and “The Scarf” a super thin minimal gorgeous case. 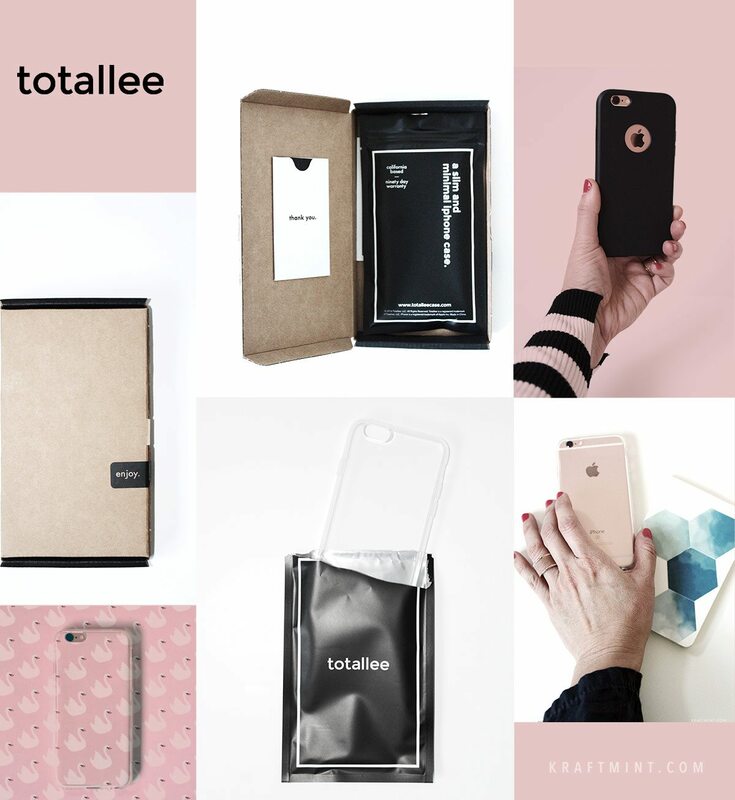 I had the pleasure to review totallee’s products and introduce you to their lovely iPhone cases. Let’s start from the beginning of my experience with totallee. My new transparent case (The Spy) arrived in a Kraft box with “The Spy” inside a cool black bag perfectly sealed. If you know me, I’m a sucker for well-designed packages. It’s my first time owning a clear case, and so far I love it! It has a great grip too. Most importantly, the rose gold of my iPhone remains looking lovely. I’ve been switching between “The Scarf” (black case) and “The Spy” (transparent), depending on my mood, ha. Do you this too? My transparent case inspired me to make a pastel/swans case, take a look at my tutorial below. Starting clockwise from the first photo on the left, I chose a whimsical, pastel swans paper. Then I traced the case with a pencil and cut the shape of my case to fit between my iPhone and my case. That’s it! I had a pink swan’s case in minutes! 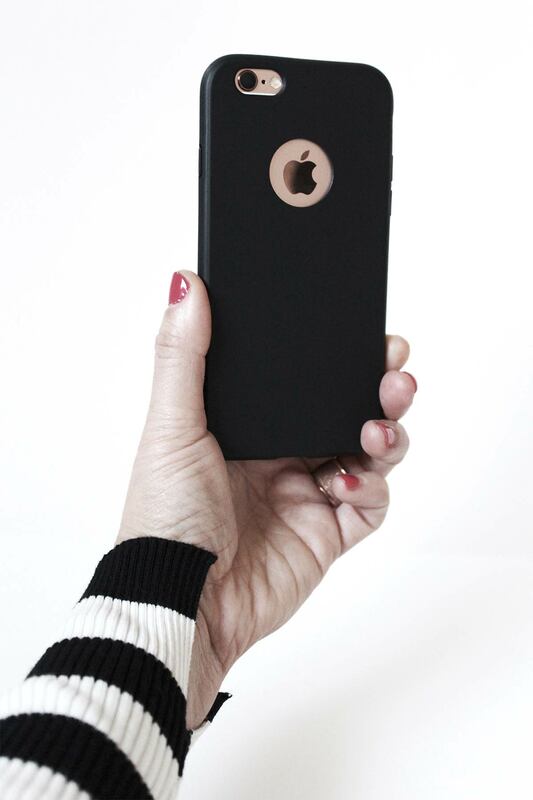 “The Scarf” has a matte smooth finish, it is ultra thin, I stay away from cases that make my cell feel bulky. All of their cases are available for 19$ at totallee’s website. You have to check them out! Next Post Get it done or Procrastinate?